WASHINGTON (Reuters) - The Trump administration will begin withdrawing from a United Nations pact that offered low rates for foreign postal deliveries of small packages in the United States, the latest move to challenge practices it sees as unfairly advantageous to China. 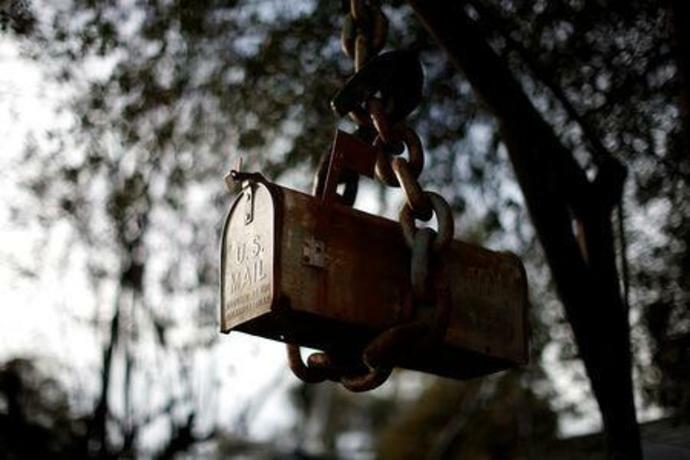 White House officials said on Wednesday the United States would start the process of leaving the Universal Postal Union (UPU), a Switzerland-based organization that connects postal services worldwide. The White House said the UPU enables foreign postal services to take advantage of cheap shipments to the United States, creating an unfair cost advantage over U.S. companies that ship goods, and hurting the U.S. Postal Service. Shares of internet-based mailing and shipping provider Stamps.com fell nearly 9 percent after the announcement. Online shoppers in the United States have often benefited from the arrangement, gaining access to foreign goods at little cost. U.S. President Donald Trump is distancing the United States from international multilateral organizations and accompanying policies that he says hurt U.S. interests. Trump has announced U.S. withdrawal from the Paris agreement to mitigate climate change and an international deal with Iran to curb Tehran's nuclear program. The White House will seek to renegotiate the terms of the UPU rules during the year-long withdrawal process, officials said. "If negotiations are successful, the administration is prepared to rescind the notice of withdrawal and remain in the UPU," White House spokeswoman Sarah Sanders said in a statement. China's foreign ministry spokesman Lu Kang said that China regretted the U.S. decision to pull out of the UPU, adding that the pact has had a positive effect on trade and communications. China's consistent position was to safeguard multilateralism and it would continue to participate in and support the work of the union, he told a regular news briefing. UPU Director General Bishar Hussein said he would seek meetings with U.S. officials to discuss the matter. "The UPU remains committed to attainment of the noble aims of international collaboration by working with all its 192 member countries to ensure that the treaty best serves everyone," he said in a statement. One senior White House said the treaty's "subsidy" had facilitated the transfer of a high level of counterfeit goods and the narcotic and fentanyl trade. Another official said the system allowed for a 40 to 70 percent discount on small packages arriving in the United States from China compared to what it would cost to send them domestically, costing $300 million. The official described it as an economic distortion that the administration wanted to correct. A change could benefit U.S. merchants and shippers, including Amazon.com Inc, which have called on U.S. officials for years to address foreign postal services' access to low rates. Amazon declined to comment. The National Association of Manufacturers called the agreement "outdated" and said it "contributes significantly to the flood of counterfeit goods and dangerous drugs that enter the country from China." WASHINGTON (AP) - The struggle between House Democrats and the Trump administration over investigations intensified Tuesday as a former White House official defied a subpoena and the Treasury Department ignored a deadline for providing President Donald Trump's tax returns.